7. A heavy presence of specific films in the parks Over the years, Disney World has closed attractions, added new ones, created new experiences and “re-imagined” others. And among those attractions, many different Disney characters and films are represented. But there are times when the parks see an increase in a character or film’s presence, especially when they are very popular with Disney fans. For example, since 2013, when the smash film Frozen hit theaters, Disney fans of all ages went wild, and Disney World paid attention. Anna and Elsa are a part of the afternoon parade at Magic Kingdom. The Maelstrom attraction in the Norway pavilion at EPCOT that had been in operation since 1988 was replaced with Frozen Ever After—a water ride aboard a Norwegian vessel that takes Guests through Arendelle. Guests can also meet the royal duo at the Norway pavilion at Royal Sommerhus. 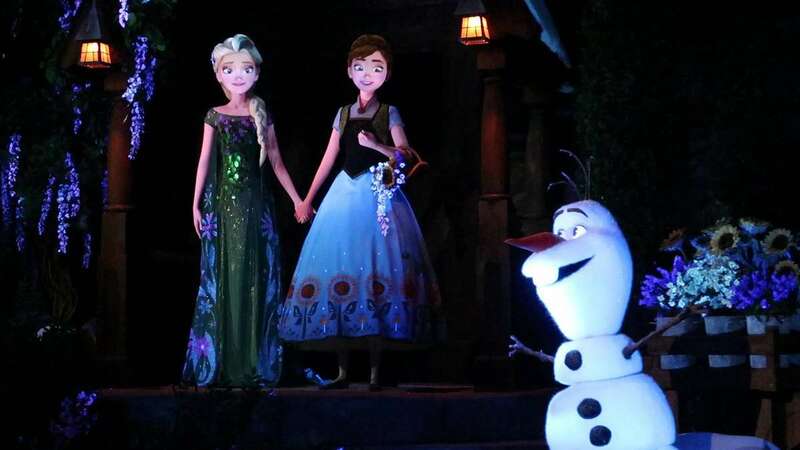 And for a while at Hollywood Studios, Anna and Elsa were part of peak season festivities.